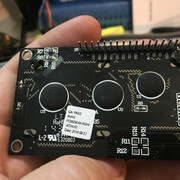 i am available to discord/live video chat google hangouts or whatever to make this go..
i am lost .. in theory the old board should work if i could reflash it.. In theory, it appears that the swap should work. However, it may not be as straight-forward as a replug and play. We will need some additional information. 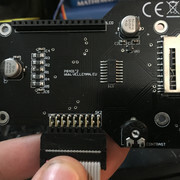 When you say that the board responds to software commands, I imagine that you are using the printer connected to Repetier (since that is what the Velleman ships with). Is the new board powering up? Can you heat the bed or extruder? Does the printer report temperatures? Does the printer report when endstops are hit? 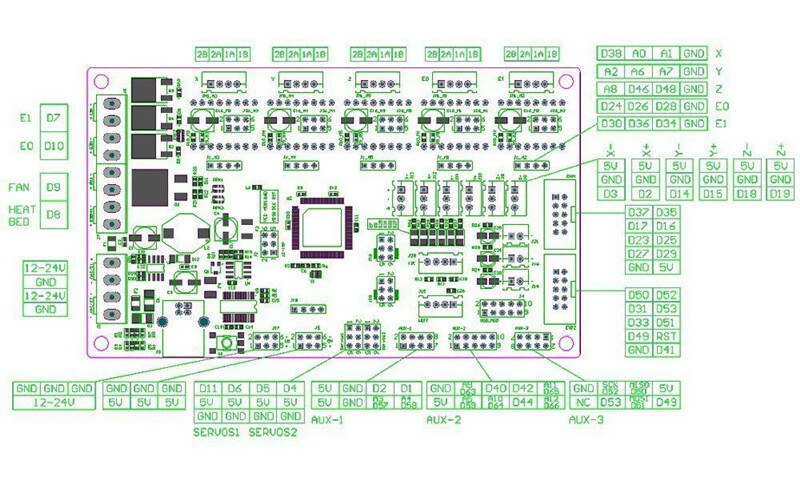 Our first step is to be sure that the board is actually working and properly running the firmware. Hopefully, you have a volt meter available, because we will also want to check if any power is going to the motors (we'll get to that). Let us know what DOES work at this point and we can move from there. are the images of teh two parts that make the one board (sd reader and display module) the display sockets to teh single roow socket and then the cable goes to the main board.. pin 1 is red..
is teh current setup without the wires..
i ahve dual extruders on the printer... but only just wired int eh second one..
sooy about typos but im a bit dyslexic and somtiems get very tired at spellcheck... all theletters are there jsut soemtimes wrong order.. the brain works reading it tho.. 3. 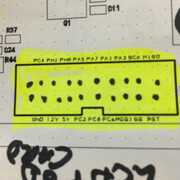 (future) finding parts to use locally(vancouver BC) for bltouch and heated bed and maybe someone to print me a fan shroud or two till i get the printer running ..
Last edited by PaulCole on Sun Sep 23, 2018 10:21 am, edited 1 time in total. this one is better.. and the lettering matches. color code the ones that matched.. I think you are getting way ahead of yourself. Let's focus on power before worrying about the display. 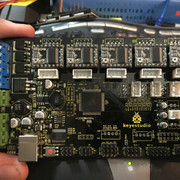 In your photo of the connected keystudio board, you do not have the power connected properly. There is only one (red) wire from a power supply where there needs to be at least one ground (black). Nothing else will work without this pair of leads connected to the right terminals. Please check this first. Then see if the heat bed and extruder turn on. 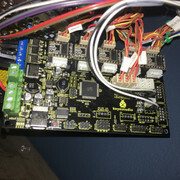 I have been up all night trying to figure out the relationship of the pins with the vellman display verse the mks display and sd connectors..
Last edited by PaulCole on Fri Oct 19, 2018 1:56 am, edited 1 time in total. Last edited by PaulCole on Fri Oct 19, 2018 1:55 am, edited 2 times in total.